As a result of the harsh desert conditions Jenaan acquired the rights to Floppy Sprinkler as an irrigation system which is best suited for the challenge. This system uses leading edge technology to preserve water and energy while it is easy to maintain and manage. 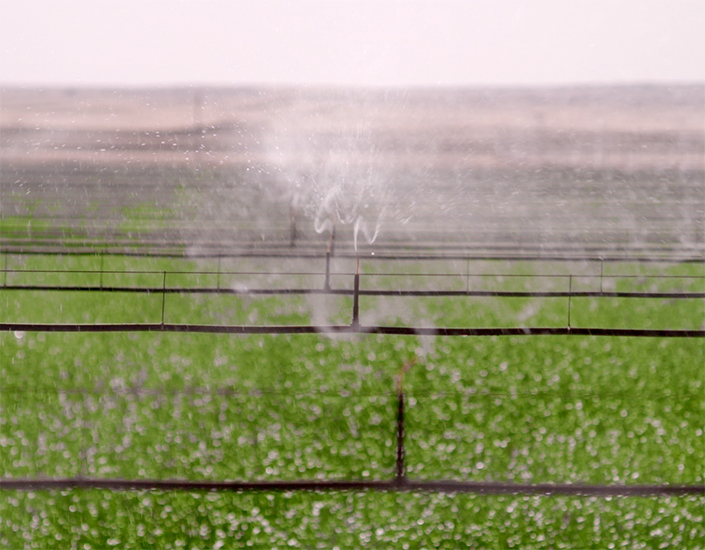 Floppy sprinkler is an overhead system which cover 97% of the irrigated area, distributing water evenly over any shape and size land. This unique design not only irrigate crops and forage efficiently, but also cool down environmental temperature in summer through automatic, sequential block irrigation. This helps to achieve optimal growing conditions and increase overall yields while utilizing far less water than conventional systems. Jenaan is the distributors of the Floppy Sprinkler System in the MENA countries. We offer turnkey irrigation solutions to clients, to cater for any condition.